Sales: +971563023810 Support: +91.9588495364 | We are ISO 27001:2013 & ISO 9001:2008 certified. Our experienced team at Drushti Technet LLP utilize their best techniques to convert your photoshop designs in PSD to responsive and functional HTML codes to ensure they execute properly. 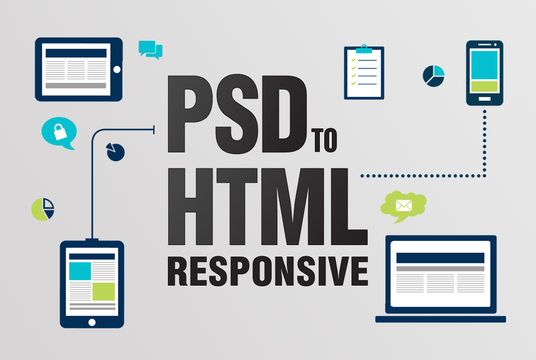 Our developers and programmers are all well aware of the latest PSD to HTML web standards and incorporate them in their designs to make them look unique and effective. Right from web development to email template designs, the solutions are integrated with latest web standards. Have Questions for our staff? We are here to available to help via live chat 24*7. Email us anytime and we ‘ll respond quickly.